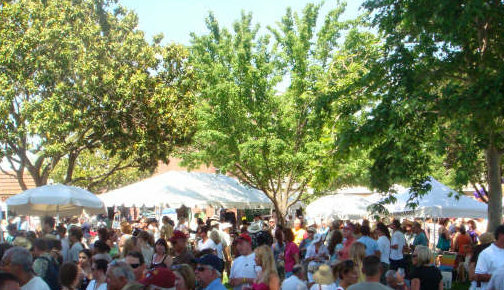 Wine lovers will welcome exciting news as they converge at Cooper Ranch in Plymouth, California, located in the Golden State’s scenic Shenandoah Valley wine county in beautiful Amador County, for the first-ever Barbera Festival, Saturday, June 11, 11 a.m. to 4 p.m. This spectacular outdoor wine and food festival will host close to one hundred Sierra foothills wineries from Paso Robles, Napa, Sonoma, Mendocino, Lake County, the Santa Cruz Mountains, Ventura County, Lodi and the Bay Area. Nearly 2000 participants are expected to attend, with top area restaurants and caterers providing the best in cuisine. Barbera originated in the Piemonte region of northern Italy. In the world famous wine regions of California, about 8,000 acres of barbera are planted. Louis Martini, a legend in California wine history with a prestigious winery in St. Helena, California, was the first to produce a varietal barbera in 1954. Today, nearly 200 California wineries produce barbera wines. The Barbera grape is noted for its generous acid structure. 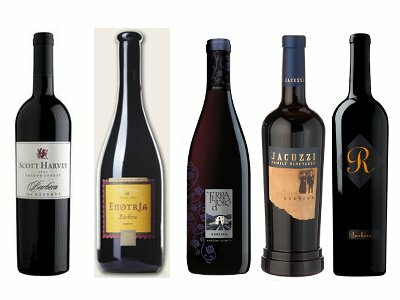 There are numerous differing styles of Barbera ranging from brighter versions with flavors of tart cherry, raspberry, and spice, to riper styles with flavors of black cherry, blueberry, blackberry, and vanilla. At this forthcoming festival, in addition to tasting spectacular wine, couples will have an opportunity to enjoy live music, art and artisan crafts. The Barbera Festival is a Green Event and has taken measures to minimize the environmental impact of the festivities, including waste and transportation. The organizing team is also investigating renewable energy purchases and carbon credits. The Barbera Festival is slated to continue as an annual event with net proceeds going to charity. Tickets are available now and cost $30/person in advance and $40/person at the door. Ticket vendor details will be released soon. For more information about the event, a list of participating wineries, map and directions, along with local lodging and tasting tips, click to the official website: Barbera Festival.